Are you forgiven? For sure? how do we know? The answer: "An emphatic YES!" The blood of Jesus Christ has fully cleansed us from our sin. How beautiful is that! We were dead, and Jesus died to make us alive and fully forgiven by His blood. 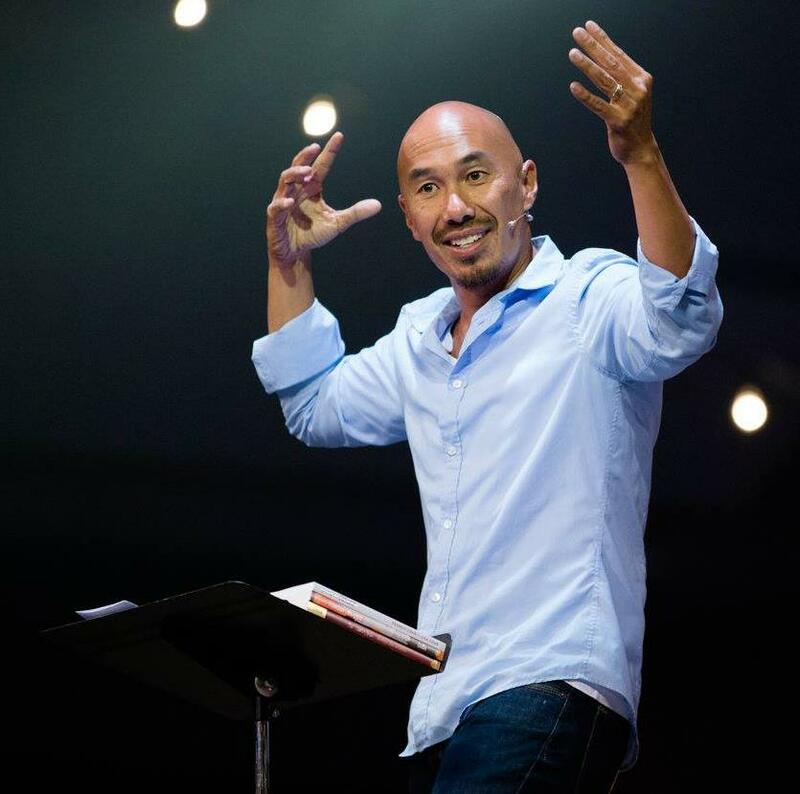 Recently, Francis Chan, the well-known Christian speaker, blessed our YWAM community with a powerful and thought provoking message on Forgiveness. Do you believe you are fully forgiven? Meaning that after you confess your sins before the Lord you are made white as snow? No questions! A lot of people walk around with the burden of guilt even after receiving the forgiveness of Jesus. To illustrate this, Francis drew the word "sin" on a white board and erased it, but because white boards aren't ever fully clean you could still see the word sin on it. He was explaining that this was a picture of how people view their forgiveness. Even after we confess and repent there are still some of us that walk around experiencing guilt. Here is the good news! Christ has died for that sin and has erased it completely. Anything influencing you otherwise is a lie. "Become friends with God; he’s already a friend with you. How? you ask. In Christ. God put the wrong on him who never did anything wrong, so we could be put right with God." Are there areas in your life where you don't know you are completely washed clean? Receive Jesus's full forgiveness today. You can watch the whole message from the YWAM Kona live stream here. Francis starts teaching at about 47 minutes, after some incredible worship! If you're interested in hearing more from speakers like Francis Chan, Todd White, Michael Koulianos and Banning Liebscher come to YWAM Kona, Engage DTS and be ready to be ruined for the ordinary.